The NSW Department of Lands in conjunction with State Records launched an exciting joint publishing initiative - a DVD which contains the index, compiled by Lois Sabine, and digital copies of some of the State's earliest legal records. place names within Sydney and the colony. 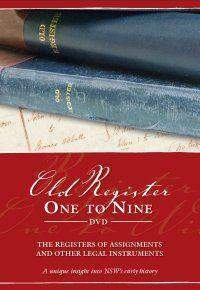 All proceeds from the DVD's sale will go towards the conservation of the 'Old Register' to ensure that these invaluable and irreplaceable records of our nation's history are available to future generations of Australians.